Bethesda has laid out the most notable contents of the next two Fallout 76 patches with the December 11th update adding a push-to-talk chat feature on the PC platform among other highly-requested features. In a post where Bethesda apologized for a lack of communication thus far and acknowledged players’ frustrations with issues they’ve faced in the game, it vowed to increase the Stash size limits on December 4th. That’s just one feature that players have been asking for since before the game even launched, but Bethesda has an update planned for a release after that one. “The next update after December 4 is currently planned for the following week,” Bethesda’s update on Fallout 76’s patches said. “Like previous patches, it will include a variety of bug fixes, but we’re also planning to bring some more notable changes and features to the game. Along with the push-to-talk voice chat feature on the PC version that was already said to be coming, several other PC-specific options are being added. More details on how S.P.E.C.I.A.L respecs will work were also shared along with information on a new C.A.M.P. feature called “Bulldozer,” all of those changes found below. A.M.P. Placement on Login: Your C.A.M.P. will no longer be automatically blueprinted and stored if someone is occupying your location when you log into a server. Instead, you’ll receive a notification that your space is occupied. If you decide to find a new home for your C.A.M.P. on that server, it will be free to do so. However, if you don’t attempt to place down your C.A.M.P., you will be able to switch to a new server where that spot is vacant and your C.A.M.P. will be fully assembled and waiting for you. Bulldozer: This is a new C.A.M.P. feature that will allow you to remove small trees, rocks, and other obstructions so it’s easier to create and place your C.A.M.P. when and where you want it. You can also use the Bulldozer to clear these items from the surrounding area to make your C.A.M.P. feel more like home! 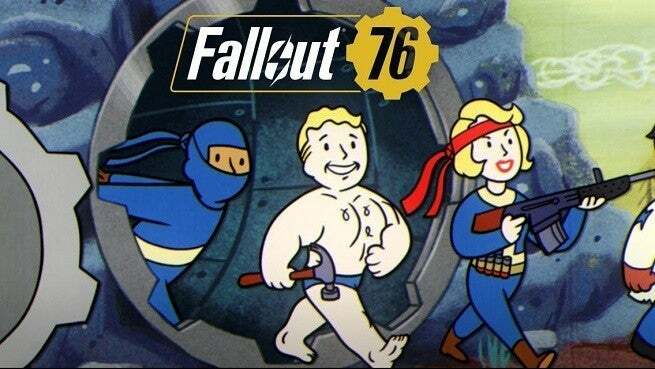 Fallout 76’s next update is scheduled to be released on December 4th with another one following it on December 11th.